Notice that the price differs based upon where the newsletter will be delivered. Be sure to select the correct subscription for your location – or choose an electronic subscription to avoid shipping costs completely. Once you select a subscription you may choose to extend your subscription for as many years as you wish. Our normal subscription period is one year. The price for print subscriptions includes 12 issues delivered through the U.S. Postal Service. 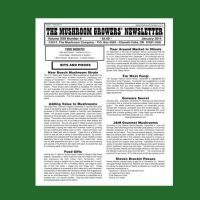 The price for our electronic subscription includes 12 issues delivered to the email address you provide. Our back issues are now sold in “volumes”. Each volume includes 12 issues (one year with each year starting in May). We no longer offer individual issues for sale. 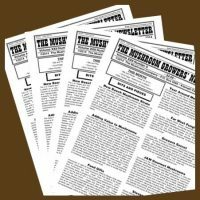 As you scan through the table of contents for each volume, you will find a few links to full issues or articles that are available free online. Just click the link to get the content. Use the search tool in the right column in the store to find specific items of interest. Shipping and handling is added during checkout. If you want to see some free content, check out our Articles Page.